If you happen to do a lot of outdoor photography, then you’re probably already familiar with how difficult it can sometimes be to protect your camera, lenses and other gear. We frequently feature amazing backpacks which can help you out with storing the necessary gear, like the Incase Pro Pack, Manfrotto Pro Light and Lowepro Pro Tactic 45AW, but now we are going to show you a mid sized backpack perfect for outdoor photographers. Lowepro launched a new one called the Whistler Backpack which will protect your gear and allow you to store everything you may need. 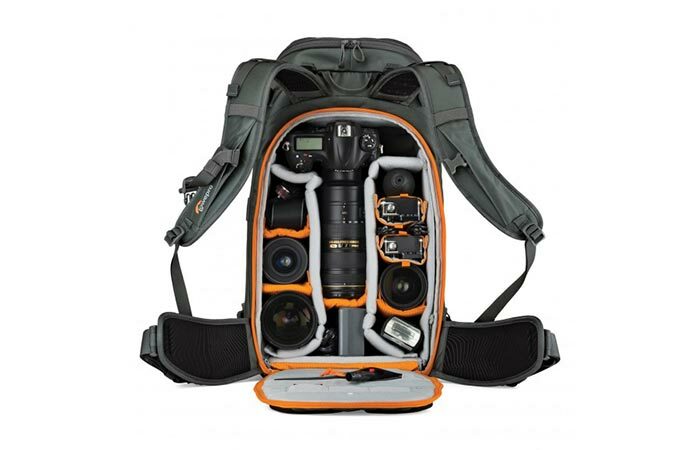 We have featured several Lowepro backpacks before, and some of them made it to our Best Camera Backpacks list. There is good reason for that, because Lowepro’s designs are terrific. The Whistler backpack is as good as the rest of Lowepro backpacks, because it offers a ton of storage space which can be accessed with ease. It has two large front compartments in which you can place a laptop and whatever miscellaneous gear you need to have on you, while your camera and camera specific gear will wind a comfortable place in the backside compartment. 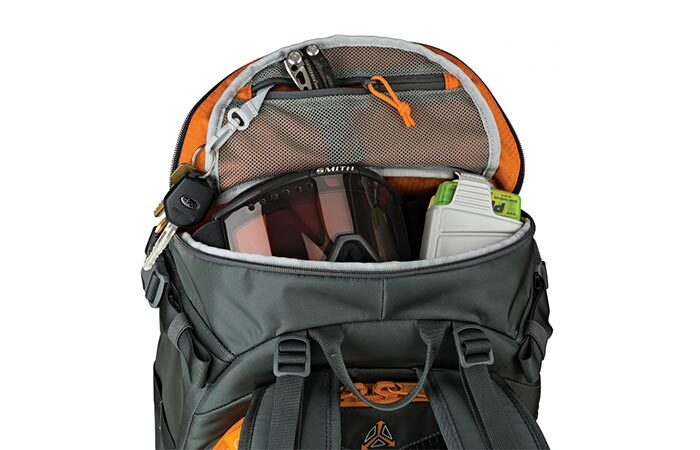 This keeps the gear close to you and minimizes chances of breaking anything valuables in case you stumble and fall. This compartment is large enough to fit a DSLR machine with a mounted lens, 3 additional lenses, a flash, batteries and it will still have a little room left. All of this gear can be compartmentalized by employing its MaxFit customizable dividers which will prevent different parts of your equipment from coming into direct contact. Another great aspect this camera backpack has is that you can use it no matter the weather conditions around you. Heavy rain, snow, a large amount of dust, dirt and mud won’t get inside of this backpack, all thanks to the fully detachable All Weather AW Cover. Even without the cover, the Lowepro Whistler is very durable and reliable. It’s made from 420 denier ripstop nylon with TUP face coating which will make it last a long time. Another important addition which every wilderness photographer will appreciate is its capability of having larger gear securely hooked on with the use of its straps. 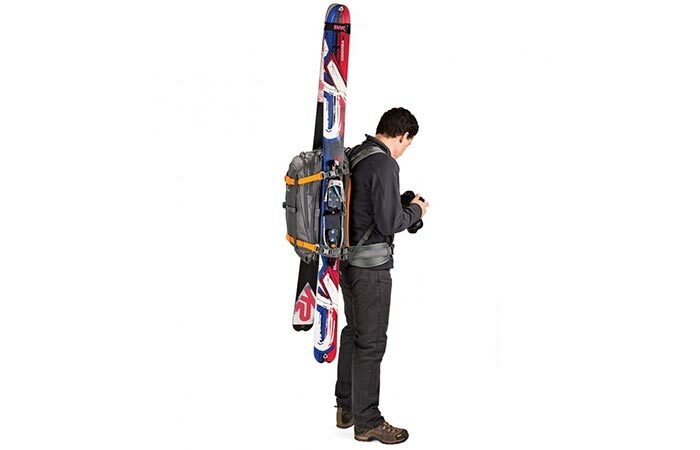 These straps will let you carry large tripods, or even skis. Lowepro manages somehow to raise the bar with each line of camera backpacks they launch, and with the Whistler Backpacks they have hit a home run. We can’t wait to see what they’ll have in store for us in the future, but for now we are going to be amazed by their latest addition to the family. Check out a video about the Lowepro Whistler Backpack.